Ibrahim bin Sayyar bin Hani, alias Nazzam (d. 230 A.H.), famous philosopher and theologian of Ahle Sunnat, who due to his beautiful discourse in prose and poetry has become famous as Nazzam; he is the founder of the Nazzamiya sect and is from the elders of Mutazila. 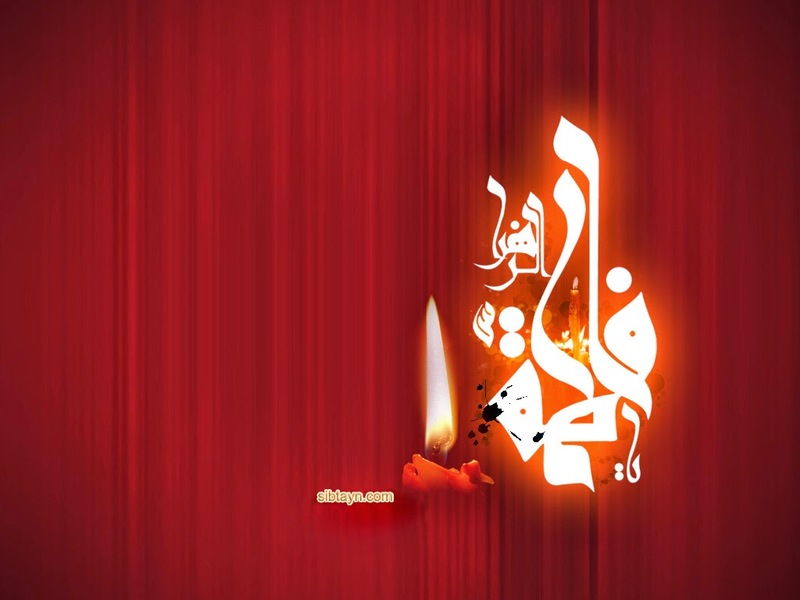 He is among those who have admitted to the trespassing on the sanctity of Lady Fatima Zahra (s) by the second Caliph of Ahle Sunnat and some other facts and events, which took place in the early period of Islam; but regretfully some Ahle Sunnat scholars have condemned him severely only because he has admitted these facts and without any justification leveled false accusations against him and have even expelled him from the folds of Islam and related him to Brahmanism. On the day of allegiance of Abu Bakr, Umar hit at the side of Lady Fatima (s), which led to the miscarriage of her child, who was named as Mohsin. As was hinted, Nazzam became a target of many allegations due to his explanation of some historical facts, so that naturally by criticism, investigation of accusatory instances and exposing of reality, the allegations laid on him would be removed. Ibrahim bin Sayyar Abu Ishaq al-Nazzam was of those who came and settled down in Baghdad. He was reformer and theorist of scholastic theology (according to Mutazali view) has written numerous books. He was a literary person and has composed a large number of profound and meaningful couplets regarding theology. Abu Uthman Jahiz (his student) has quoted extensively from him. Tarikh Baghdad, Vol. 6, Pg. 97, No. 3131, Ahmad bin Ali Abu Bakr al-Khatib Baghdadi (d. 463 A.H.), Darul Kutub Ilmiya, Beirut. Nazzam implies Ibrahim bin Sayyar Abu Ishaq Nazzam…He was reformer and theorist of scholastic theology. He was also a literary personality having composed a large number of beautiful and eloquent couplets. Al-Ikmal fee Rafal Irtiyab Anil Mutalif wa Mutakhaliif fil Asmaa wal Kun, Vol. 7, Pg. 274, Ali bin Hibatullah bin Abi Nasr Ibne Makula (d. 475 A.H.), Darul Kutub Ilmiya, Beirut, First edition 1411 A.H.
 Al-Wafi bil Wafiyat, Vol. 6, Pg. 17, No. 2444 – Al-Milal wan Nihal, Shahristani, Vol. 1, Pg. 57, Darul Marifa, Beirut. Nazzam believed that Imamate was fixed after the passing away of the Holy Prophet (s) and he said: The Messenger of Allah (s) declared Amirul Momineen (a) as the Imam after him, but Umar denied it. And when the Messenger of Allah (s) passed away, he said before his demise: Bring paper and inkpot, so that I may solve the problem of Caliphate after me and introduce to you the one, who is eligible for it. Umar said: Don’t pay attention to this man, he is talking nonsense. Sirrul Aalameen wa Kashfe Maa fid Darain, Vol. 1, Pg. 18, Chapter of Sequence of Caliphate and rulership, Abu Hamid Muhammad bin Muhammad Ghazzali (d. 505 A.H.), Edited: Muhammad Hasan Ismail and Ahmad Farid Mazidi. Darul Kutub Ilmiya, Beirut, Lebanon, First edition, 1424 A.H. and 2003 A.D.
Our question to Ahle Sunnat scholars is: Would you deem Ghazzali unreliable because of this statement? Narrated Abu Wail: We were in Siffeen and Sahl bin Hunaif got up and said, “O people! Blame yourselves! We were with the Prophet on the day of Hudaibiyah, and if we had been called to fight, we would have fought, but Umar bin Khattab came and said, ‘O Allah’s Apostle! Aren’t we in the right and our opponents in the wrongs’ Allah’s Apostle said, ‘Yes.’ Umar said, ‘Aren’t our killed persons in Paradise and their’s in Hell?’ He said, ‘Yes.’ Umar said, ‘Then why should we accept hard terms in matters concerning our religion? Shall we return before Allah judges between us and them?’ Allah’s Apostle said, ‘O Ibne Al-Khattab! I am the Apostle of Allah and Allah will never degrade me. Al-Jami as-Sahih al-Mukhtasar (Sahih Bukhari), Vol. 2, Pg. 1162, Tr. no. 3011, Kitabul Jihad was Sayr, Chapter of the sin of one who makes a vow and then violates it, Muhammad bin Ismail Abu Abdullah Bukhari Jofi (d. 256 A.H.), Edited: Dr. Mustafa Dibul Bagha, Daar Ibne Kathir, Yamama, Beirut, 3rd edition, 1407 – 1987. Umar said: By Allah, I never doubted from the time I accepted till the day I came to the Prophet and said: Are you not the Messenger of Allah (s)? I said: Are we not on the right and our enemies not in the wrong? He said, ‘Yes.’ I said, ‘Then why should we accept hard terms in matters concerning our religion? Al-Kashf wal Bayan (Tafsir Thalabi), Vol. 9, Pg. 60, Abu Ishaq Ahmad bin Muhammad bin Ibrahim Thalabi Nishapuri (d. 427 A.H.) – 1035 A.D., Darul Ahya Turath Arabi, Beirut, Lebanon, 1422 A.H. – 2002 A.D. First edition, Edited: Al-Imam Abu Muhammad bin Ashur, Reference and research: Ustad Nazir Saadi. Tafsir Baghawi, Vol. 4, Pg. 202, Al-Baghawi (d. 516), Darul Marifa, Beirut, Edited: Khalid bin Abdur Rahman al-Ak. Tafsir Khazin (Lubabut Taweel fee Maani at-Tanzeel) Vol. 6, Pg. 208, Alauddin Ali bin Muhammad bin Ibrahim Baghdadi, famous as Al-Khazin (d. 725 A.H.), Darul Fikr, Beirut, Lebanon, 1399 A.H. – 1979 A.D. Unedited. Al-Jawahirul Ahsan fee Tafseerul Quran (Tafsir Thaalabi), Vol. 9, Pg. 60, Abdur Rahman bin Muhammad bin Makhluf Thaalabi (d. 875), Mausasal Aalami Lil Matbuat, Beirut. Ad-Durrul Manthur, Vol. 8, Pg. 129, Abdur Rahman bin Kamaal Jalaluddin Suyuti (d. 911 A.H.), Darul Fikr, Beirut – 1993. On the basis of this, this matter does not exclusively pertain to Nazzam, on the contrary, numerous senior Ahle Sunnat scholars have also narrated such things. Now, with attention to this point, would you declare persons Bukhari, Muslim, Dhahabi, Ibne Hibban, Abdur Razzaq Sanaani, Tibrani and Suyuti…as weak because of this matter? The third objection leveled against Nazzam was that he considered Tarawih Prayer as an innovation of Umar! Abdur Rahman bin Abdul Qari said, “I went out in the company of Umar bin Al-Khattab one night in Ramadan to the mosque and found the people praying in different groups. A man praying alone or a man praying with a little group behind him. So, Umar said, ‘In my opinion I better collect these (people) under the leadership of one Qari (Reciter) (i.e. let them pray in congregation!)’. So, he made up his mind to congregate them behind Ubayy bin Kaab. Then on another night I went again in his company and the people were praying behind their reciter. On that, Umar remarked, ‘What an excellent Bidat (i.e. innovation in religion) this is. Al-Jami as-Sahih al-Mukhtasar (Sahih Bukhari), Vol. 2, Pg. 707, Tr. no. 1906, Kitab Salatul Tarawih, Chapter of excellence of those who pray in Ramadhan, Muhammad bin Ismail Abu Abdullah Bukhari Jofi (d. 256 A.H.), Edited: Dr. Mustafa Dibul Bagha, Daar Ibne Kathir, Yamama, Beirut, 3rd edition, 1407 – 1987. Can Muhammad bin Ismail Bukhari be considered weak, because he has narrated this report and can his book be declared unreliable? The fourth objection against Nazzam is that he believed that Umar bin Khattab went against the practice of the Holy Prophet (s) and prohibited Mutah of Hajj. This matter is also a universally accepted historical fact and it is not only Nazzam who has narrated it; on the contrary, many senior Ahle Sunnat scholars, including Muhammad bin Ismail Bukhari and Muslim Nishapuri have clarified this matter in their respective Sahih. Muhammad bin Ismail Bukhari has mentioned in his Sahih: Narrated Imran: The verse of Mutah was revealed during the lifetime of the Messenger of Allah (s) and we performed Hajj-at-Tamattu in the lifetime of Allah’s Apostle and no verse was revealed prohibiting it and the Messenger of Allah (s) also did not forbid it as long as he lived and somebody said what he wished according his own opinion. Muhammad (Bukhari) said: This person was Umar bin Khattab. Al-Jami as-Sahih al-Mukhtasar (Sahih Bukhari), Vol. 4, Pg. 133, Tr. no. 4246, Kitabut Tafsir, Baab Faman Tamatta-a bil Umrah Ilal Hajj, Muhammad bin Ismail Abu Abdullah Bukhari Jofi (d. 256 A.H.), Edited: Dr. Mustafa Dibul Bagha, Daar Ibne Kathir, Yamama, Beirut, 3rd edition, 1407 – 1987. Abu Nadra reported: While I was in the company of Jabir bin Abdullah, a person came to him and said that Ibne Abbas and Ibne Zubair differed on the two types of Mutas (Tamattu of Hajj and Tamattu with women), whereupon Jabir said: We used to do these two during the lifetime of Allah’s Messenger (peace be on him). Umar then forbade us to do them, and so we did not revert to them. Sahih Muslim, Vol. 2, Pg. 914, Tr. no. 1249, Kitabul Hajj, Baab Taqsir Fil Umrah, Muslim bin Hajjaj Abul Husain Qashiri Nishapuri (d. 261 A.H.), Edited: Muhammad Fawad Abdul Baqi, Darul Ahya Turath Arabi, Beirut. It is narrated from Umar in a correct report that he prohibited temporary marriage and said: Two Mutahs were lawful during the lifetime of the Prophet and the people acted on them; but I prohibit them: one is the Mutah of Hajj and the other is the Mutah marriage. Al-Mabsut, Vol. 4, Pg. 27, Shamsuddin Sarakhsi (d. 483 A.H.), Darul Marifa, Beirut. On the basis of this, objections of some Ahle Sunnat scholars, like Shahristani and Safdi are not applicable to him and his special beliefs will not lead to him being considered as weak, because many Ahle Sunnat senior scholars also have the same beliefs.